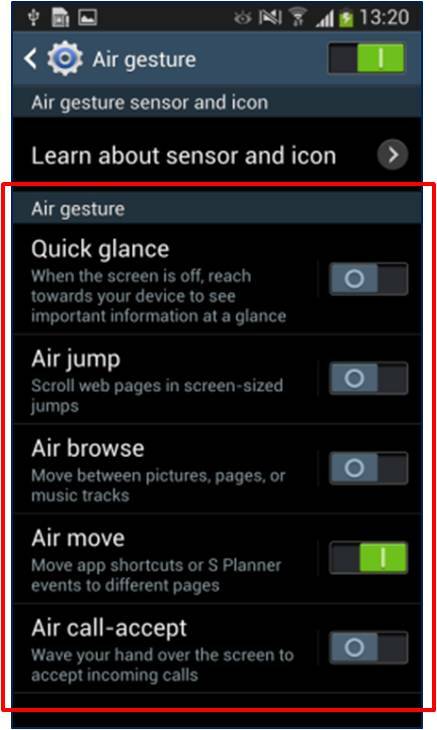 What is the Air Gesture feature and how do I use the Air Gesture feature? 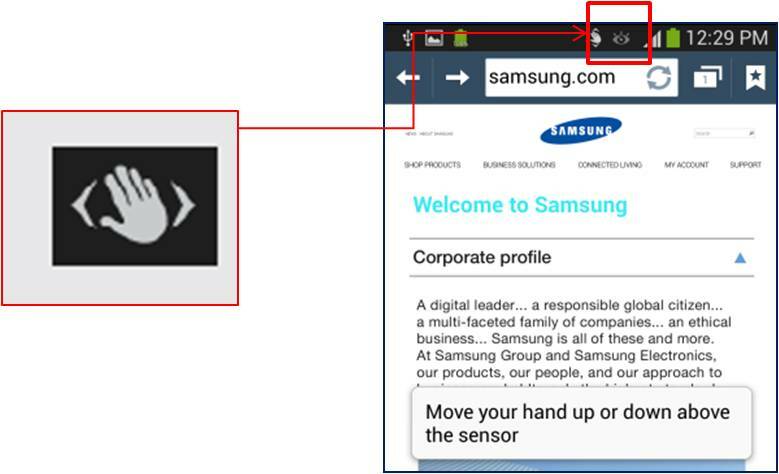 Use this feature to control functions without touching the screen. 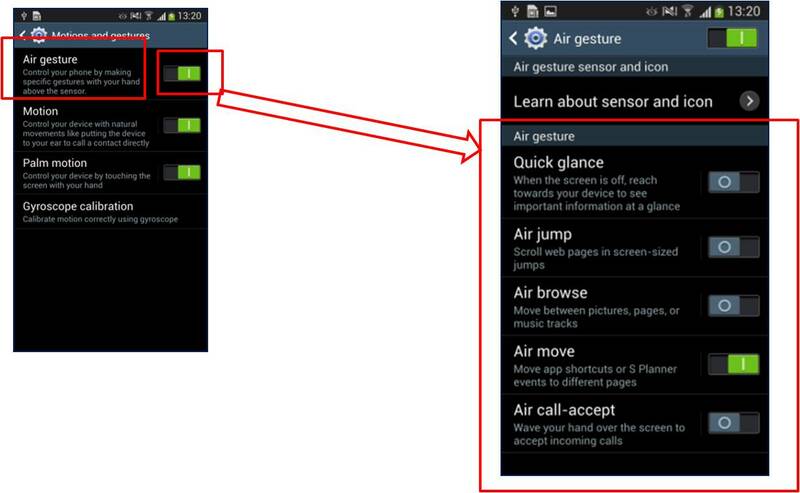 Before using this feature, make sure the Air Gesture feature is activated. Note: The device may not recognise your gestures if you perform them too far from the device or while wearing dark-coloured clothes, such as gloves. 5 Drag the Air Gesture switch to the right to activate it. 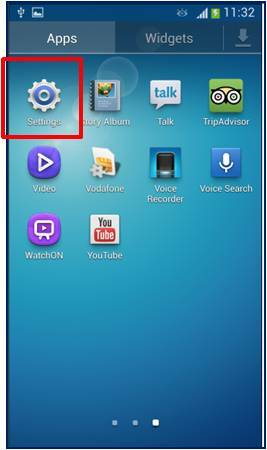 Note: A pop up screen will be displayed advising you to enable this feature fully, enable at least one of the relevant functions. 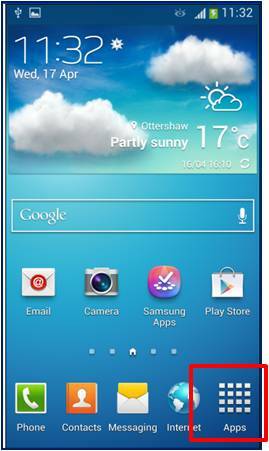 The Air Gesture sensor is positioned at the top right above the screen. 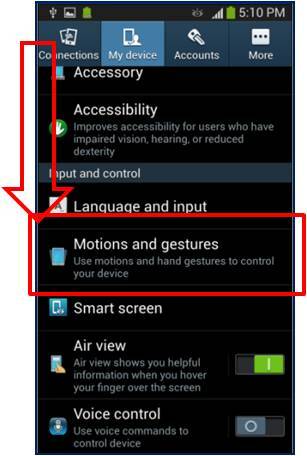 The sensor can recognize your gestures best at a distance of 7cm when you perform them at normal speed. 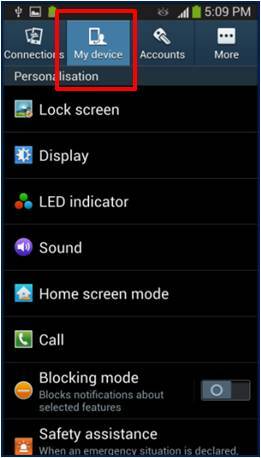 When air gestures are available, the icon shown here will appear on the status bar at the top of the screen.